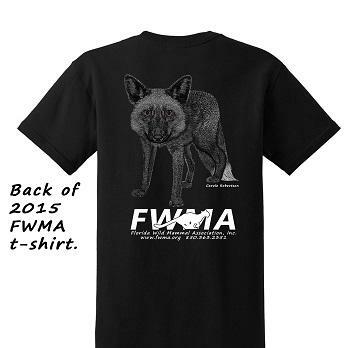 We are so happy to present the 5th Annual FWMA Shirt. Many thanks again to the support and wonderful talents of Carole Robertson (www.robertsonartgallery.com) for designing our 2015 t-shirt. Carole gave her time and talent free of charge (as always) and this year’s design is beautiful. Last year we were able to raise almost $2000 and our goal this year is to top $2500. Unfortunately we do not have a corporate sponsor for this year’s shirt so we really need your help to make this a huge success. We are proud to offer these shirts for a suggested donation of $20 (plus $5 shipping and handling) – this design will only be available this year so hurry.